It's the last year that the North American International Auto Show -- informally known as the Detroit Auto Show -- will be held in January. This may be why we missed some of the world's largest automakers this year, but that doesn't mean it was a disappointment. In fact, it was anything but, after taking a stroll through the immaculate show floor. The event will move to June in 2020, meaning about 18 months sit between this year's auto show and next year's event. 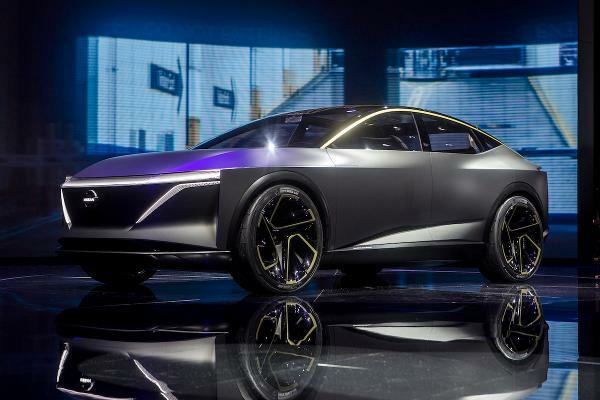 So if you want to see a plethora of new vehicles, pristine classics and the up-and-coming concept cars of tomorrow, you best consider getting down to the Cobo Center in Downtown Detroit between Jan. 19 and Jan. 27, when it is open to the public. If you can't make the show or want a preview of what you'll get to see, click through to get an idea of what's on display at the 2019 Detroit Auto Show! Ford (F - Get Report) started off with a bang, introducing the new 2020 Mustang Shelby GT500. It's the most powerful street-legal vehicle in Ford's history. This 5.2-liter V8 promises 700-plus horsepower and Ford says it goes 0 to 60 mph in around 3.5 seconds. However, Mustang fanatics are bemoaning the lack of a manual transmission option. Will Ford give us a stick? Fiat Chrysler's (FCAU - Get Report) Jeep brand is looking to a strong lineup this year to drive sales. The new Jeep Gladiator 2020 design is engineered to tow a best-in-class 7,650 pounds and has a payload of 1,600 pounds. The truck comes standard with a 3.6-liter V6 and will have a 3.0-liter diesel engine option in 2020. The Gladiator has both hard- and soft-shell options, a fold-down windshield and removable doors. It's the only open-air truck in the game and will be available this spring. Sticking with the Jeep theme for a minute, the automaker calls Trackhawk the "quickest SUV ever" and for good reason. This ride can fly from 0 to 60 mph in just 3.5 seconds, powered by the 707 horsepower being pushed out of its supercharged V8 Hemi engine. Of course, for those who want the versatility of Jeep but the super-speed of a sports sedan, it'll cost a pretty penny. The Trackhawk starts at $86,650 and can run up all the way over $100,000 with options. 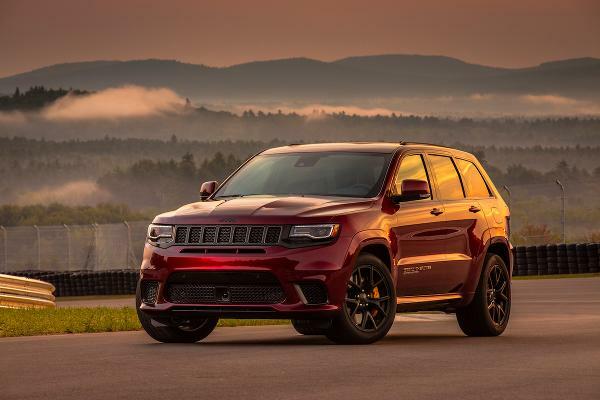 With a bevy of Trackhawk-only features and some serious speed, this Jeep will turn a few heads. When drivers think of luxury sport sedans, German automakers like BMW, Mercedes and Audi are usually the first that come to mind. But they shouldn't overlook Hyundai's luxury brand Genesis, responsible for the G70 sedan. Starting at just $34,900, consumers can get behind the wheel of this year's North American Car of the Year winner. Equipped with a standard 2.0-liter turbo-four engine, churning out 255 horsepower, buyers can step up to a 3.3-liter V6, running wild with 365 horsepower. Sounds fun. Hyundai doubled up during the awards portion of the Detroit Auto Show. After its Genesis brand snagged the Car of the Year award, Hyundai's Kona and Kona EV won the Utility of the Year award. The EV version has 64-kWh battery that can churn out 201 horsepower and go 258 miles on a charge. The non-EV Kona has attractive features, too. Coming standard with a 2.0-liter 147 horsepower engine and sub-$20,000 price tag, the Kona will surely garner some attention in 2019. 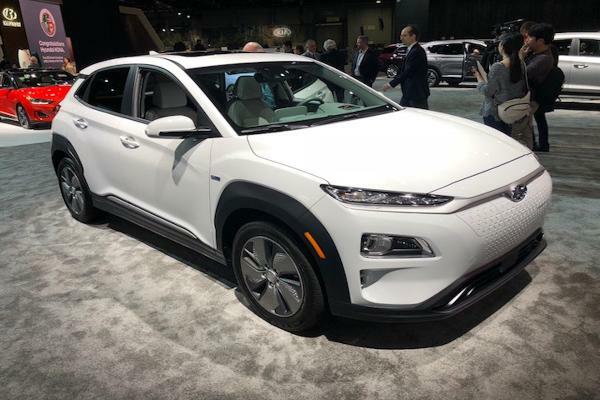 However, buyers can step up to the Kona Ultimate, which starts at $26,250 and gives drivers 175 horsepower, 30 miles per gallon combined between city and highway, wireless device charging, an 8-inch LCD display and more. The Ram 1500 took home the North American Truck of the Year hardware. Truck fans are drawn to the Ram's 12,750-lb. towing capacity (besting all of its competition but Ford) and its standard 3.6-liter V6 engine, which makes 305 horsepower. However, buyers can upgrade to a 5.7-liter V8 engine kicking out 395 horsepower and 410-lb. ft. of torque. But let's not overlook the technological side, where the Ram 1500 offers a massive 12-inch touchscreen. After a nearly two-decade hiatus, the Toyota (TM - Get Report) Supra is back for a mid-2020 release. 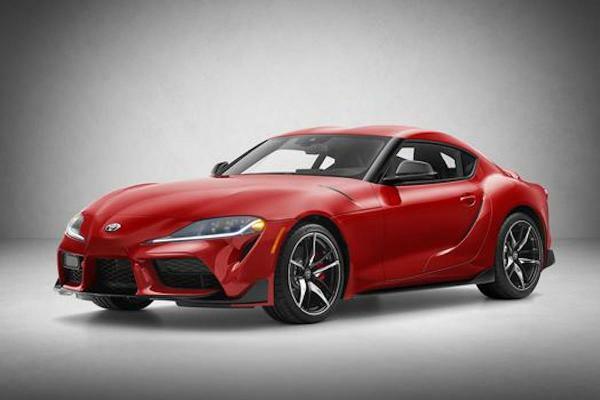 With its sleek updated look, the Supra will hit the market with a starting price of $49,990. Standard color options include black, grey, white, silver, red and blue, but additional options of yellow and matte grey are available for an extra $400 and $1,200, respectively. After partnering up with BMW (BMWYY , the Supra clearly had some influence from the German automaker, particular in regards to the interior and its platform. Enough of everyone else cashing in on the SUV push -- Kia wants more of the pie, too. 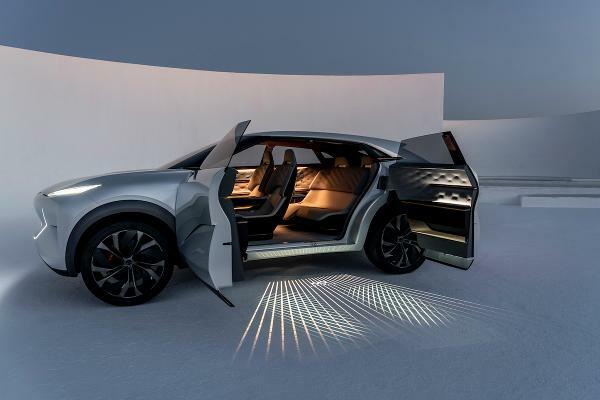 The automaker brought its 2020 Telluride to the Detroit Auto Show, showing off its eight-seat, three-row beast. 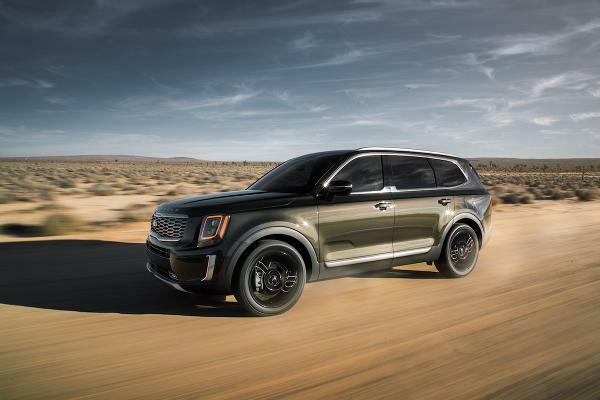 Sporting a 3.8-liter V6 engine, the Telluride rides along with 291 horsepower. This big rider will go on sale in May 2019, although pricing has not yet been announced. Luckily, we know it will come in four different trims, or grades: LX, EX, S and SX. 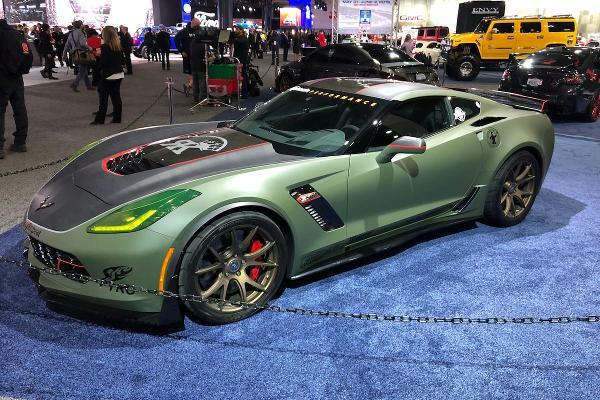 If you're attending the 2019 Detroit Auto Show, consider taking a stroll through the back corner of the show floor. Just to the left of the Dodge display and just below the NAIAS Cafe, viewers will run into some beautiful customized RK Rally vehicles. They range from BMWs to Lamborghinis to Corvettes, such as the one shown below. The RK Rally group is a club that bounces from location to location, enjoying the drive in their wondrous vehicles and hitting the track (legally). With a 6.5-liter V12 engine hand built in Sant'Agata Bolognese, Italy and 729 horsepower, the Aventador can definitely turn some heads -- both on the road and at the track. Launching in 2011, Lamborghini originally planned to make just 4,000 of these vehicles, but hit the 5,000 mark in 2016. Getting behind the wheel of a 2019 Aventador S will set you back a cool $417,650. 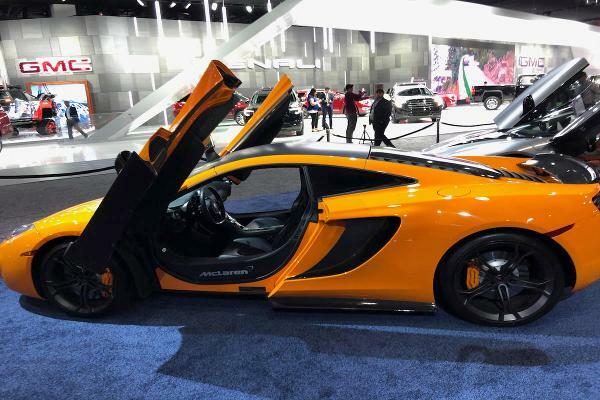 Next to the Lamborghini Aventador, you'll find the McLaren 12C. It's not hard for this car to get double takes with a 616 horsepower and a top speed of more than 200 mph. This 7-speed dual-clutch whip can rip from 0 to 60 mph in 2.8 seconds and hit the quarter-mile mark in less than 11 seconds. It's also the base car for McLaren 650S. The lineup is equal part depressing and inspiring for most viewers. The base price start off the McLaren 12C at $239,400, but for "just" $265,750, drivers could drop the top with the convertible 12C Spider. Introduced at the 2018 Detroit Auto Show, we got one last look at the refreshed pickup before it hits the road later this year. The new Ranger can tow up to 7,500 pounds and has a payload of 1,860 pounds. The Terrain Management System in this truck has multiple drive settings -- grass/gravel/snow, mud/ruts, sand and normal. Having to compete with other trucks in its category, the Ford Ranger's starting price will be $25,395 and run all the way up to $39,480 with options. Stepping up just a bit from the Ford Ranger and as if the Ford F-150 Raptor isn't fierce enough, Ford had to make its limited edition Shelby rendition of this beast. Like the Ferrari, Lamborghini and others, the one pictured here can also be found in the Envy Auto Group section of the show floor. 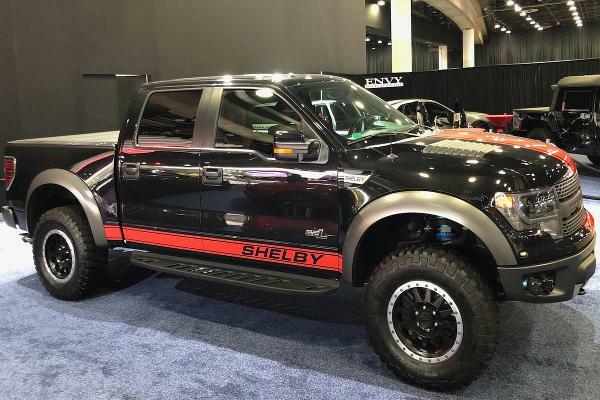 For the 2018 Shelby Raptor, the truck ramps from 400 horsepower and 510-lb. ft. of torque to 525 horsepower and 610-lb. ft. of torque. The Super Snake is a whole 'nother animal, kicking out a ridiculous 750 horsepower from its 5.0-liter V8. But that one's meant for the street, not the trails. One that is meant for the trails? The 2019 Jeep Wrangler. 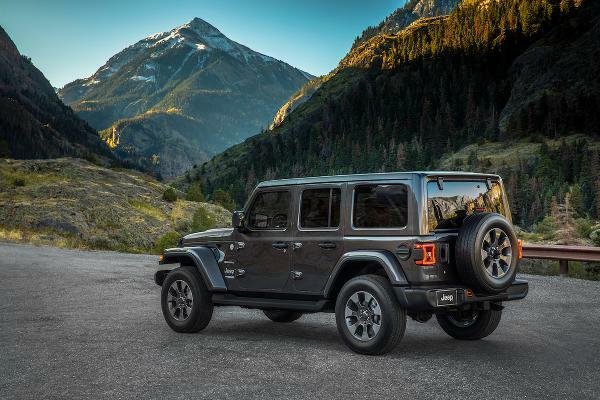 It's not surprising that the Wrangler won the 2019 MotorTrend SUV of the Year. Jeep is making the Wrangler even more appealing by adding a retractable top with the push of a button, a fold-down windshield, backup cameras, LED lights and the option for a new higher efficiency engine. If that's not enticing enough, the Wrangler also won this year's residual value award for the second year in a row. The four-door model can be yours, starting at just $31,545 before delivery. Found in the "Envy Auto Group" portion of the showroom, it's easy to see why. The Ferrari 458 was introduced in 2009 at the Frankfurt Auto Show and had a base price that started around $230,000. Assembled in Maranello, Italy, production ran from 2009 to 2015 before being succeeded by the Ferrari 488, after the latter's unveiling at the Geneva Auto Show. A blast from the past? Sure, but it's just like a piece of art, at this point. 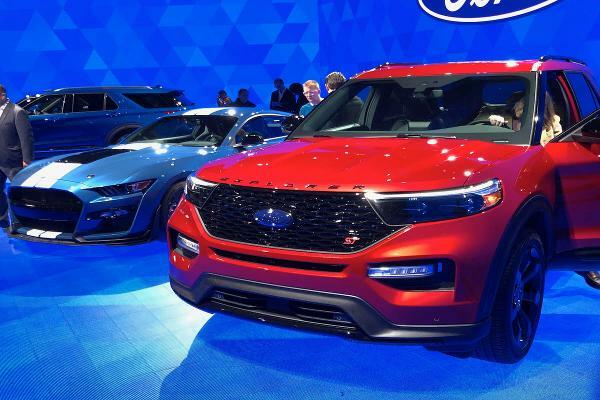 Ford didn't only announce its fastest Mustang ever, but also introduced two models of the Explorer SUV. The 2020 Explorer Hybrid will now be able to go 500 miles between fill-ups, according to Ford. That's an impressive figure for those keen on road-tripping. 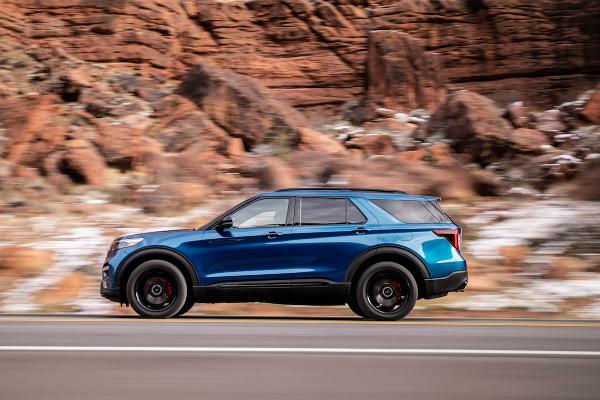 As for the Explorer ST, it comes equipped with a 3.0-liter EcoBoost V6 and kicks out 400 horsepower, 415-lb. ft. of torque and sport driving mode. Ford says the ST can hit 142 mph on the speedometer. It was a busy time for Volkswagen (VLKAF at the Detroit Auto Show. The automaker announced a big partnership with Ford and introduced its new-look Passat. With an updated sportier look, Volkswagen will look for the Passat and the recently updated Jetta to drive sedan sales in what is otherwise a declining segment in the U.S. The car will come equipped with a six-speed automatic and a 2.0-liter 4-cylinder direct-injection engine kicking out 174 horsepower. Stay on the lookout to see if Volkswagen announces a Passat GT down the road. The Matthew McConaughey-endorsed 2019 Lincoln Nautilus is an upgrade of the former MKX. The luxury midsize SUV can go from 0 to 60 mph in 5.9 seconds and hit the quarter mile in 14.4 seconds at 97 mph. It pushes out 245 horsepower and allows a new option of lane-centering assist. The new luxury SUV starts at just over $40,000. It's part of Ford's ever-growing focus on SUVs, crossovers and pickups over the sedan segment. A few days before the Detroit Auto Show kicked off, General Motors (GM - Get Report) gave investors an update, raising 2018 guidance and providing stronger-than-expected 2019 guidance. It also said Cadillac will be its brand leader in the electric vehicle segment. We got a teaser of that at the auto show, but Cadillac also showed off its XT6 luxury SUV. 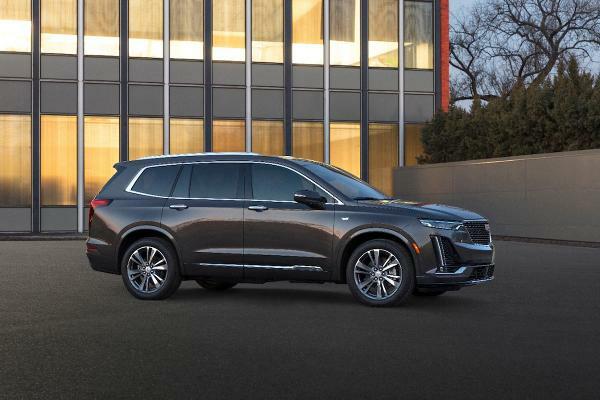 Smaller than the Escalade and bigger than the XT5, the XT6 provides a good middle ground for luxury SUV shoppers. Sporting a 3.6-liter V6 engine with 310 horsepower, buyers will be able to choose between two trims, either premium luxury or sport. It's not quite as rugged as the 6x6, but Mercedes' 4x4 G-Wagen is a car most of us would still feel comfortable off-roading in. That is, if you're okay with taking a quarter-million dollar vehicle off the pavement. And that's before Brabus, the largest aftermarket Mercedes-Benz tuner, gets its pricey hands on these rides. 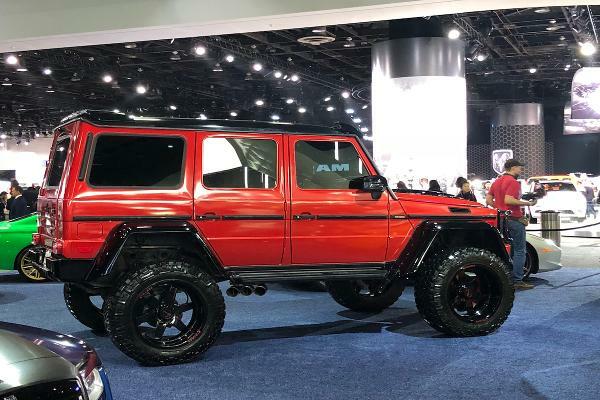 It's hard to get an idea for how big this monster is until you see it in person, but there's a reason why Mercedes-Benz USA CEO Dietmar Exler said this limited-run vehicle sells out fast and comes with a premium. Tucked behind that giant Mercedes 4x4 was the Rolls Royce Ghost. Assembled at the Goodwood plant in West Sussex, England, the Ghost has a 6.6-liter V12 engine and can churn out more than 560 horsepower. 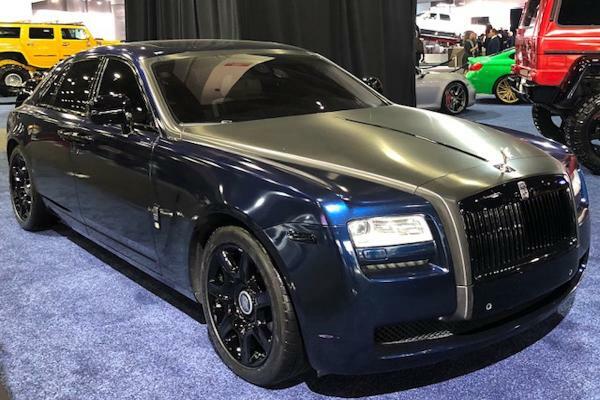 Starting at a cool $311,900, the Ghost is one of Rolls Royce's more "affordable" vehicles. That said, it still screams luxury when you part open its suicide doors. 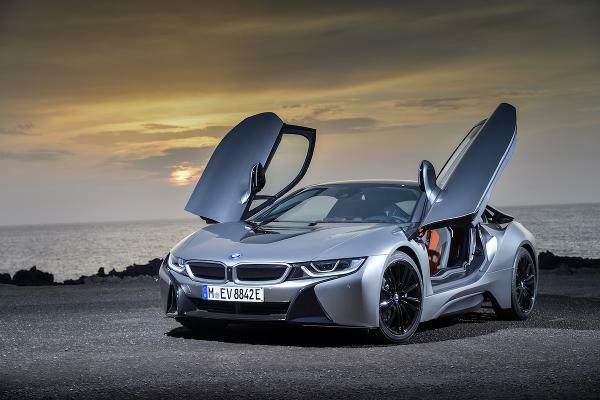 The 2019 BMW i8 is a plug-in hybrid sports car that has a starting price of $147,500 and a futuristic-looking car that offers two or four doors for more seating. The i8 has an estimated 18 miles of all-electric battery range and its 1.5-liter three-cylinder engine kicks out a more-than-casual 369 horsepower. The i8 is one of BMW's early electric/hybrid options along with the i3, and the company is taking the segment much more seriously after its initial foray. In 2020, it plans to introduce the iX3 electric SUV. Thought we miss some of the concept cars? No way! GAC, a China-based automaker, decided to unveil its modern take on an all-electric minivan at the 2019 Detroit Auto Show. Even more appealing to the EV crowd, the Entraze is made of almost all environmentally sustainable materials, such as cork. The Entraze offers a unique seven seat design with three seats in the front followed by two rows of two. Although GAC currently only sells cars in China, it hopes to eventually expand into theU.S. market. It's always fun seeing some of the concept cars at the Detroit Auto Show and 2019 was no exception. One look was the Infiniti QX Inspiration, an all-wheel drive crossover SUV. The vehicle's suicide doors opened to a spacious interior more akin to a small lounge than the inside of a vehicle. We can only hope future models have such a relaxing environment. Of course, we'll need autonomous driving capabilities to improve quite a bit before all passengers can enjoy it. While there are some rumbles about an EV QX Inspiration in the future, this one is likely a hybrid if and when we see it on the road. 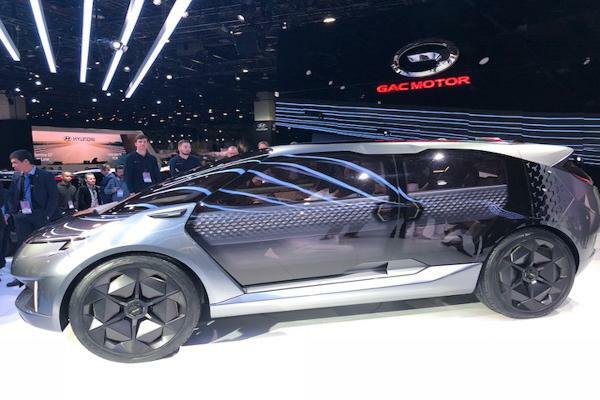 Last but certainly not least of the 2019 Detroit Auto Show was the Nissan IMs Concept vehicle, which takes the look of sedan and combines it with the driving clearance of an SUV. Unlike the Infiniti QX Inspiration Concept, the IMs Concept is an all-electric ride featuring dual-motor all-wheel drive. Its 115-kWh battery can apparently crank out 483 horsepower and 380 miles of driving range. If achieved, that will top the driving range of Tesla (TSLA - Get Report) , regardless of which vehicle it's compared to at present time. The IMs Concept also has an intriguing seat setup as a 2-1-2 arrangement.